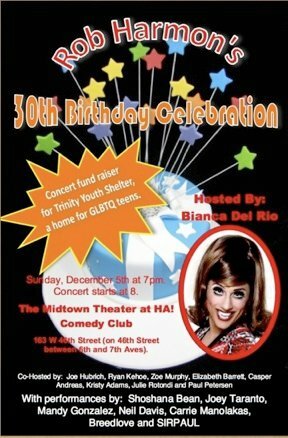 Tickets MUST be bought in advance and proceeds will go directly to the Trinity Youth Shelter. This event will sell out! There will be an open bar in the theater from 7-8pm and the concert starts at 8!